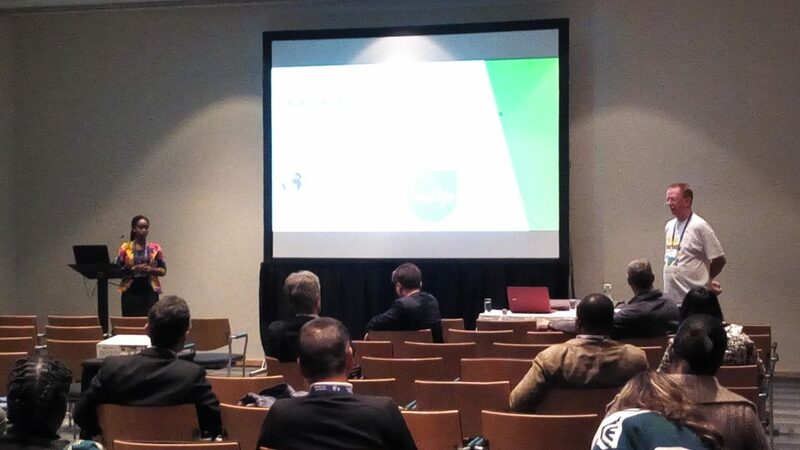 A week ago, I had the pleasure of attending and presenting at the World Aquaculture Conference in Cape Town, South Africa. Before embarking on the journey, I did not know what to expect but I understood the conference for what it was — an opportunity to discuss the potential of aquaculture production in Africa to support economic development and investment opportunities. It was that and much more. Conferences can be stressful but ultimately they are rewarding and fun. Being in an environment with people from the same discipline is important as it connects you to others who are active in your line of work. 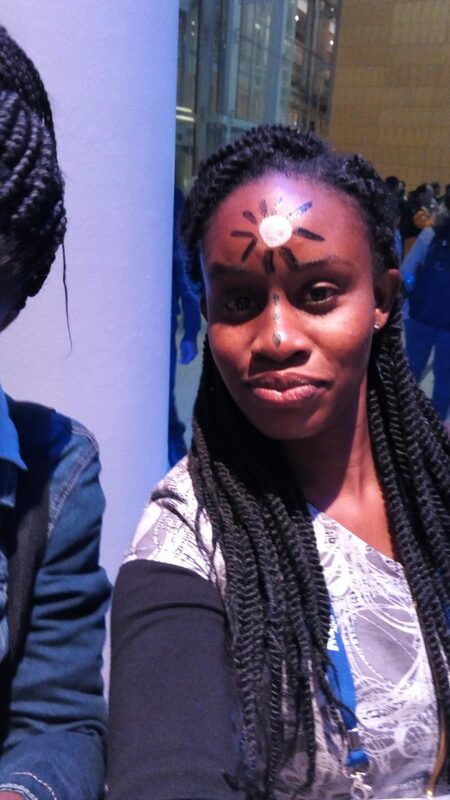 You grow as a person, meeting new friends and industry stakeholders. New opportunities and prospects open up, sometimes from just a casual conversation in the corridor between scheduled sessions. The atmosphere at the conference was intimidating in the beginning but became friendly and supportive with each session, which removed some of the formality. I thoroughly enjoyed my session as I passionately talked about how Farmerline uses mobile technology to impact the lives of 1000 fish farmers in Ghana by providing information on best management practices and market prices of fish. As simple as this innovation was, the audience was stunned by Farmerline’s approach of reaching smallholders with relevant information which transformed their way of practising aquaculture. The question and answer period were amazing, with constructive peer assessment and informative critiquing. 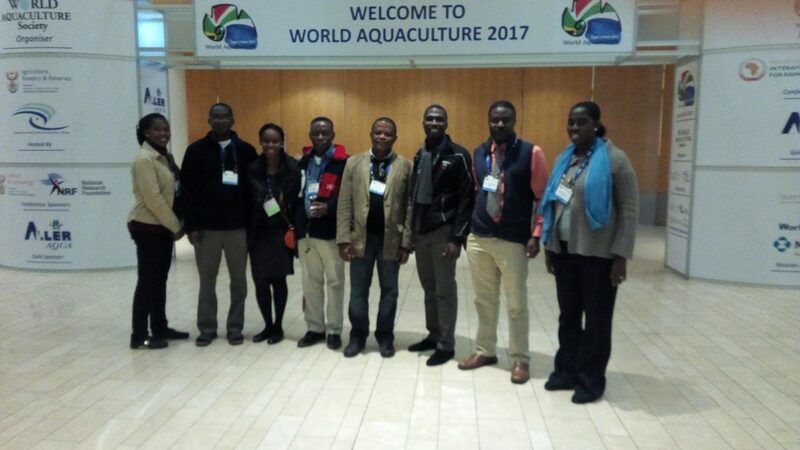 My knowledge was heightened in realising the major role Farmerline can play in advancing aquaculture in Africa. Positive feedback and compliments also reinforced the point that Q&As are proportional to the quality and effort that the speaker has put into their allotted time. I came away very excited! My favourite moment was walking to my seat after my talk to a resounding applause. I felt so proud about Farmerline’s work and progress as well as the quality of my presentation as subsequent speakers made continuous reference to Farmer line’s technology. I was also impressed by how wide the aquaculture sector is, globally, through the exhibition and inspiring talk on “Feeding The 9 billion: The Role of Aquaculture” by Dr.Rohana Subsasinghe of FAO during the plenary session. Presenting for the first time at a major conference was for me akin to taking another major roller coaster ride of my your life. A continuum from excitement, elation and pride through to unease and anxiety. But surprisingly, I was very calm and I absolutely loved every bit of it! It was also a pivotal experience for me and I hope to present more at such conferences in the future. I. Aquaculture is a very important sector as it plays a pivotal role in addressing 9 out of the 17 Sustainable Development Goals. II. Though aquaculture in Africa has seen development, the increase in production has been gradual, unlike our Asian counterparts. 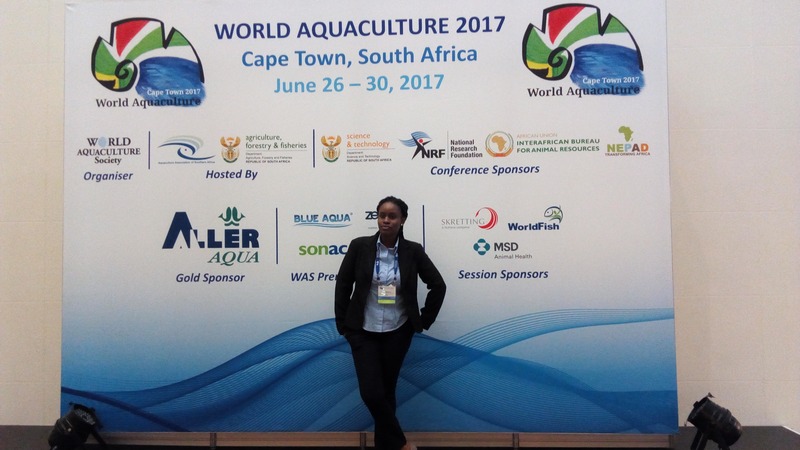 It was established that Africa still has a long way go to in realising its potential in aquaculture to feed its growing population. III. Aquaculture development worldwide is being hampered by the invasion of fish diseases. More recently, in parts of Asia, Africa and South America the incidence of the Tilapia Lake Virus (TiLV) is on the rise which is a threat to the tilapia industry. It is important to note that no report of any human health-related issues has been associated with the consumption of affected tilapia from any of the affected countries since the emergence of TiLV (CGIAR, 2017). In the midst of this daunting situation, is the opportunity to create and broaden career opportunities within the aquaculture field. This presents the need for fish health specialists and I encourage the youth pursuing related courses to take advantage. IV. Ghana as a country is doing quite well in sub-Saharan Africa nonetheless there is so much we can harness from aquaculture in Ghana hence expanding our scope from the 2 main species (tilapia & catfish) to other indigenous species and also by learning from the examples of Egypt, etc.